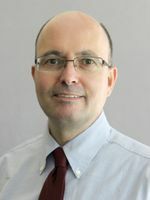 Edl Schamiloglu, Distinguished Professor of Electrical and Computer Engineering at the University of New Mexico, has been recognized with the 2015 IEEE Nuclear and Plasma Society’s Pulsed Power Science and Technology Committee’s Peter Haas Award in recognition of his contributions to the field of pulsed power. The Peter Haas Award recognizes individuals whose efforts, over an extended period, have greatly benefited the pulsed power field through the development of important applications or areas of activity, including research, education, and information exchange. The award is given biennially, with presentation in odd-numbered years at the IEEE International Pulsed Power Conference awards banquet. This year’s conference will be held May 31-June 4 in Austin, Texas. Previous recipients of the Haas Award include the late Arthur H. Guenther (Air Force Weapons Laboratory, 1989), Gerold Yonas (Sandia National Laboratories, 1991) and William L. Baker (Air Force Research Laboratory, 1997). Schamiloglu is also the director of the School of Engineering’s COSMIAC center. He joined UNM’s Department of Electrical and Computer Engineering in 1988. He has been Gardner-Zemke Professor of Electrical and Computer Engineering and directs the Pulsed Power, Beams, and Microwaves Laboratory at UNM. His research interests include physics and technology of charged particle beam generation and propagation; high-power microwave sources and effects; pulsed power science and technologies; plasma physics and diagnostics; electromagnetics and wave propagation; and neurosystems engineering. A fellow of the IEEE since 2002, he is a three-time recipient (2011, 2012, and 2013) of the UNM Science and Technology Corporation Creativity Award, the 2013 IEEE Nuclear and Plasma Sciences Society’s Richard F. Shea Distinguished Member Award, and the 2014 IEC (International Electrotechnical Commission) 1906 Award Recognizing an Expert’s Exceptional Current Achievements. Promoted to Distinguished Professor in 2014, Schamiloglu's sponsored research includes projects with the Air Force Office of Scientific Research, Sandia National Laboratories, the Office of Naval Research and industry. He is principal investigator of a recently awarded six-year, $6 million grant for the AFRL/AFOSR Center of Excellence on the Science of Electronics in Extreme Electromagnetic Environments.